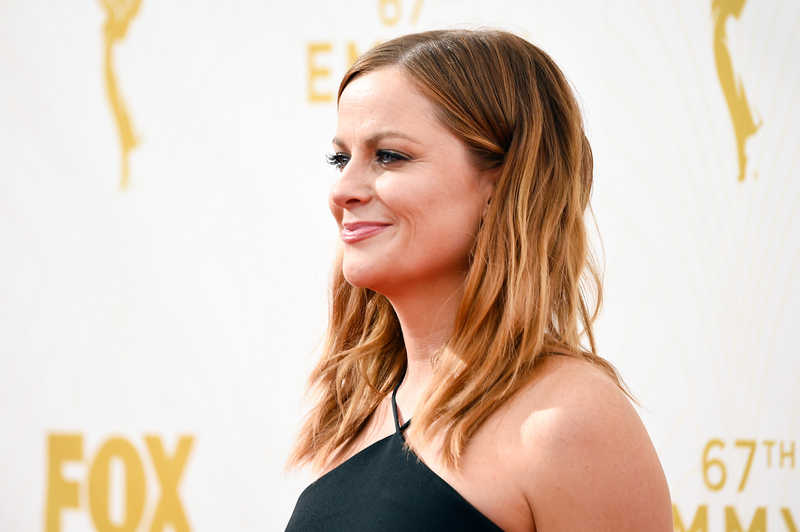 If you, like me, were pleasantly surprised by the meaningful content of the Emmys red carpet interviews overall, then you might have Leading Actress In A Comedy nominee Amy Poehler and her friends to thank — because their #SmartGirlsAsk program has a big part in this. #SmartGirlsAsk is a social media project spearheaded by the actress’ Smart Girls initiative (and supported by the Television Academy), and basically encouraged red carpet press to ask female nominees, presenters, and guests about more than just their couture. The Amy Poehler’s Smart Girls Twitter account has been soliciting queries from its followers over the last few days so that their Emmy correspondents could ask all the career-related, family-related, and feminism-related questions that fans at home are really interested in knowing. On Sunday night, they shared those answers in real-time, straight from the Nokia Theatre in downtown Los Angeles. The Smart Girls influence and its starry support (yas, Shonda Rhimes!) seems to have influenced other outlets too. Like — as stunning and chic as Gina Rodriguez’s feathered, bedazzled gown was on the red carpet, that’s not why she was invited to these awards. #SmartGirlsAsk and other thoughtful interviewers gave stars the opportunity to share their passion and professionalism, not just their fashion sense. Here are some of the best #SmartGirlsAsk answers from the ladies of the 2015 Emmys, and a few gentlemen too! Nurse Jackie star Falco is a proud mom, and according to her, it's even more difficult than wrangling Tony Soprano. Scandal actress Katie Lowes prompts the comedian to admit her affinity for musical theater. The Late Show With Gloria Steinem? Which Change.org petition do I sign? Not a controversial answer, but always the right one. Don't get discouraged when you're following your dreams, friends: Sue Sylvester says so. The young lady who brought us Sally Draper gets inspired by reading, watching, and listening to art she admires. This question comes from the legendary Miss Britney Spears, and the HBO comedian/anchor uses the opportunity to shout out humorist and historian Sarah Vowell. The Academy Award winner wants people to tell their own stories, and that sounds like a winning strategy to me. Sleep with one eye open, Eddie Redmayne. Poehler is a longtime supporter of Worldwide Orphans, has accompanied them on aid trips, and serves as their Ambassador to the Arts. Can #SmartGirlsAsk come along to every Hollywood award show?